In everyday life we experience abnormalities all the time. Consider fluctuations in the weather and the occurrence of above average temperatures, often followed by periods of below average temperatures. Consider that periods of extraordinary decreases typically follow periods of extraordinarily high stock market gains. Even consider that your body may experience periods of added pain, discomfort or stiffness, followed by periods of much better feelings without any medical intervention. Indeed, the occurrence of what we might call “abnormal” is, well, normal! But the lesson is that, without any intervention from us, experiences out of the ordinary will tend to move back toward the norm. And there is a term for this – reversion to mean. On your project, you may see abnormally high or low work completion rates. It is good to have the information – and to get advance indicators – but beware of reacting too quickly, because it is likely that these performances will revert to the mean. It’s most important to identify if there might be a shift in the mean! You may observe that there are periods of a lot of meetings, and periods of few meetings. 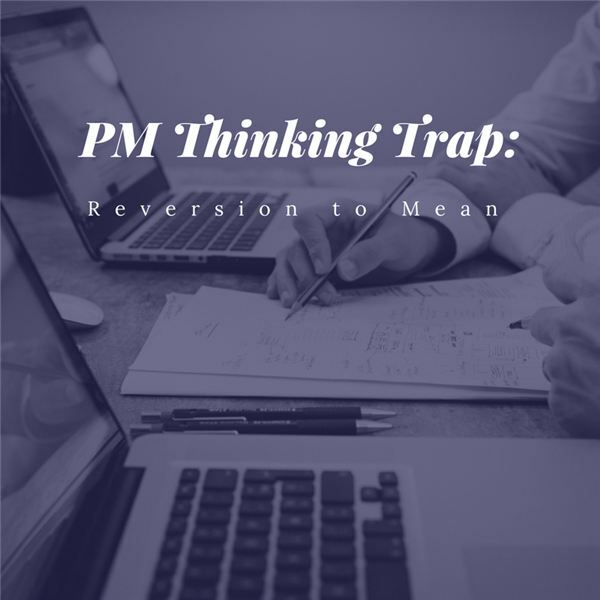 Be aware that these could be anomalies…and that observations will tend to revert to the mean, or normal, level of meetings. Again, the thing to look for is a shift in the mean. As a general observation, on our projects there are periods of seeming continual crisis, and other periods of seeming permanent calm. Recognize that even these observations will revert to mean…where you experience a stable occurrence of manageable crises and calm. Be alert, however, for a shift in the mean. What areas of your project might appear to be out or the ordinary…and might simply revert to mean? Could it be possible that the man is shifting?